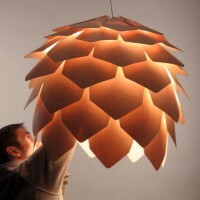 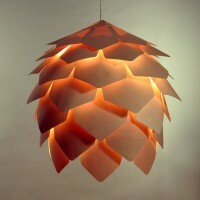 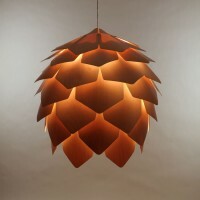 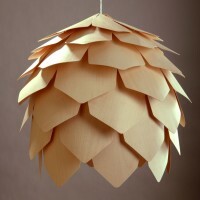 Russian designer Pavel Eekra has created the Crimean Pinecone Lamp. 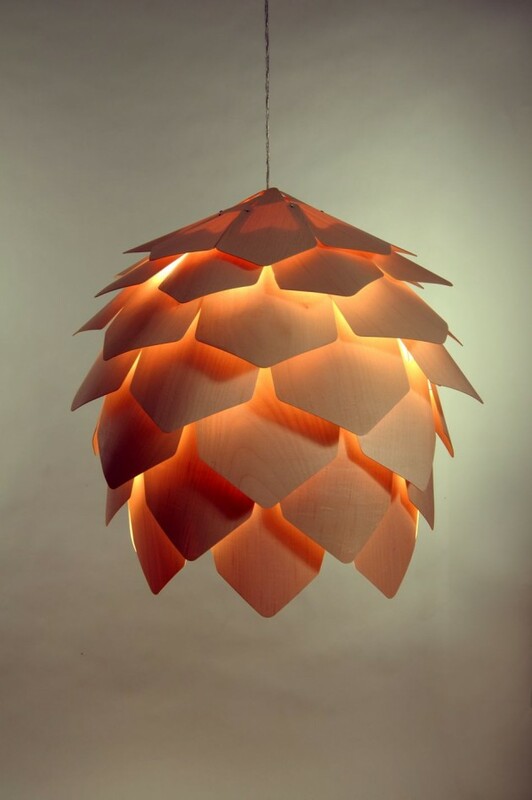 The lamp consists of 56 plates and screws, without an internal skeleton due to rounding forms plaques form gaps through which light passes. 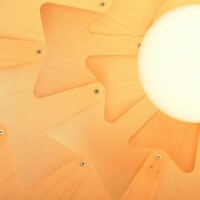 Boards themselves are also slightly transparent, this creates a particular pattern of light from the outside and downward bright light. 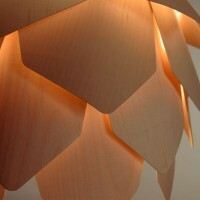 Visit Pavel Eekra’s website – here.